90% of Email Users Don’t Fully Protect their Accounts – Do you? Two-factor authentication (2fa) offers an additional layer of protection against hackers. Pairing passwords with unique codes sent to personal devices limits accessibility by cybercriminals. With reports of millions of email breaches and user/password thefts, and the fact that many of these accounts are linked to numerous additional websites, the importance of protecting user accounts against hacking attempts is clear. Two-factor authentication is a simple to implement security method offered by all leading web-based email applications. Currently, less than 10% of Gmail users opt to enable 2fa. This article walks users through the simple process of protecting their online email accounts with this multi-factor authentication tool. A recent report from Yahoo parent company Verizon disclosed that the data breach at Yahoo in 2013 affected every customer account at that time, or some 3 billion accounts. In 2017 HackRead reported that 5 million Yahoo accounts and 21 million Gmail accounts were for sale on the dark web. 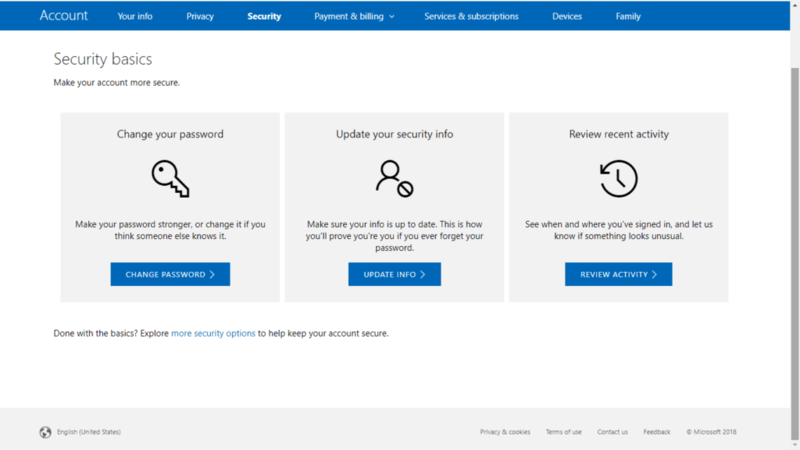 In other security breaches, Microsoft account IDs were stolen as well. These are just a few examples of how email accounts are constantly under attack. Hackers know that most people use a single password for all their applications. As such, if one account is breached, it could theoretically put all the user’s accounts in danger of being compromised. A hacked account puts your private data, your contact lists, and even access to your financial accounts at risk, not to mention the threat of identity theft. 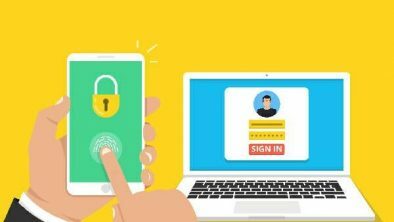 Security experts suggest adding an additional layer of protection to password protected accounts, in the form of two factor authentication (2fa), also coined two step verification (2SV). Two factor authentication typically combines a password with a single access security code sent to your phone or alternative device, upon log-in. This multi factor authentication approach is harder to crack, as it requires access to the account-connected device. Additionally the security code is a single use code, often limited to a short period of time. Other implementations of 2fa use biometric data, such as fingerprints, as the second authentication factor. 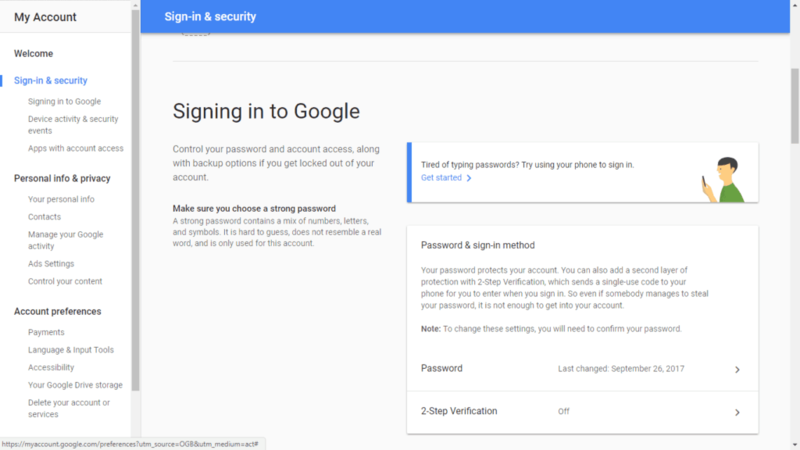 All major email providers, such as Google, Yahoo, and Microsoft offer the option for double authentication, however, according to Google, less than 10% of the active Gmail accounts have opted to use 2fa on their accounts. Only 28% of Americans have even used 2fa, and 56% do not know what 2fa is. Forcing this security measure on users might drive users away, as the log-on process is longer. Another limitation which may impact users’ decisions to enable dual-factor authentication is that it requires having your device with you whenever you want to access your email. People like the fact that they can log-on anywhere, even, according to the low adoption rates of 2fa, at the expenses of their security. As abovementioned, all leading online email providers offer two-factor authentication solutions within their email suite. 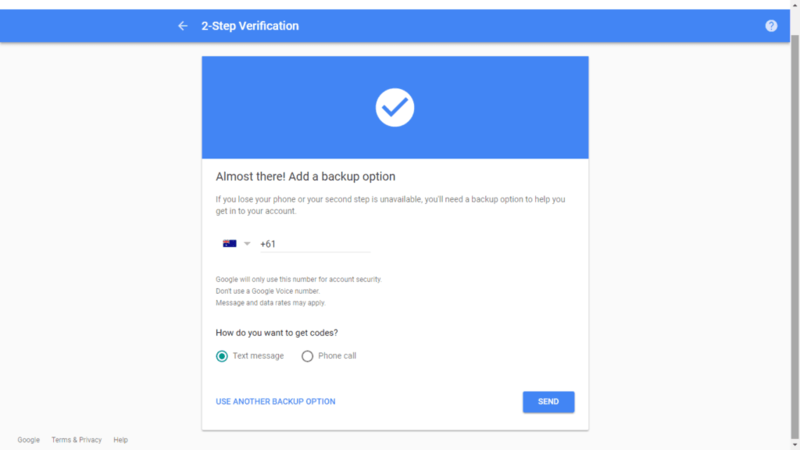 Below simple step-by-step instructions for 2 step authentication on Gmail, Yahoo and Microsoft email. 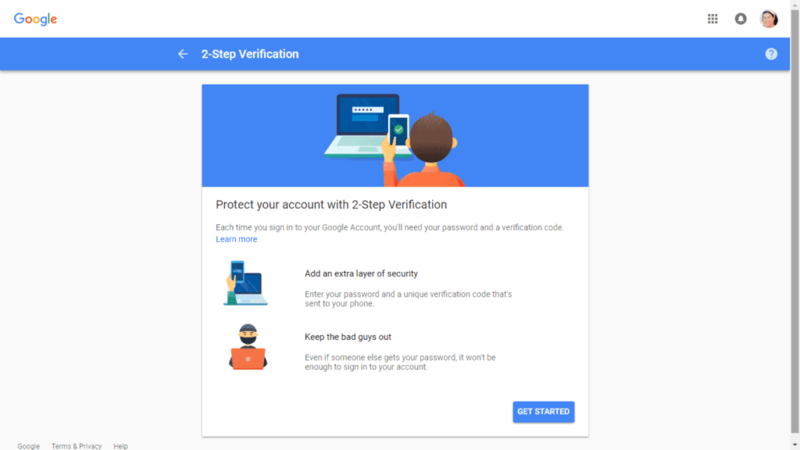 Step 1: Go to the 2-step verification page in Google and press “get started“. You can also access the above prompt from your account settings page, by pressing “device activity and security events” on the sidebar. Scroll down to “passwords and sign-in method” and switch 2-step verification to “on”. Step 3: Enter phone number of the device you wish to connect to your account. This device will serve as the dual factor authentication device. Choose your preferred method to receive the 2-step verification code and press “send“. You can opt for Google to “use prompt instead” in which you will be prompted to use a device already registered with Google. If you have a registered device you will see the below screen at this step. 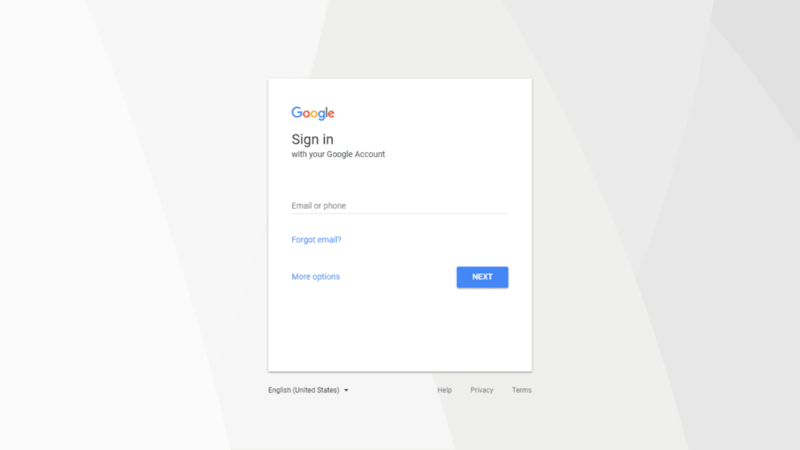 By choosing “don’t use prompt” you can reach the above screen and enter a device not yet associated with your Google account. Press “send” or “try it now” and press yes on the prompt you will receive on your device. Step 4: Enter a backup device, or download the backup codes by pressing “use another backup option“. Step 5: Approve 2 step verification on final screen to turn on. 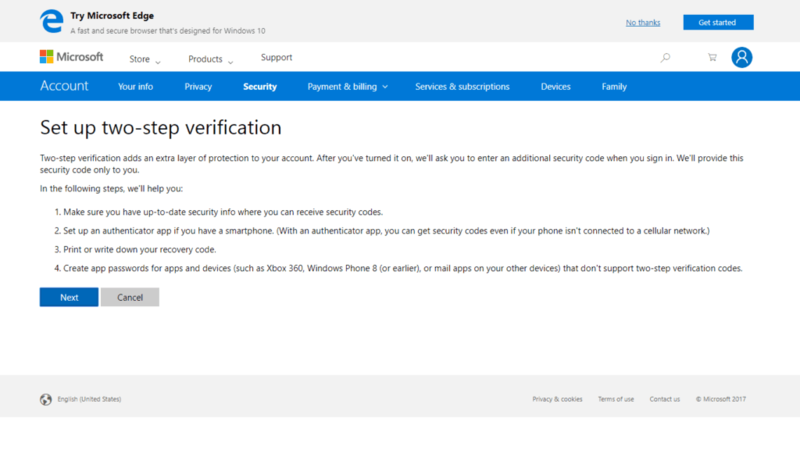 Step 2: Go to the two-step verification page on Microsoft and press on “security basics”. Step 3: Press “more security options“. Step 4: Enter your password upon prompt and then choose “set up two-step verification”. 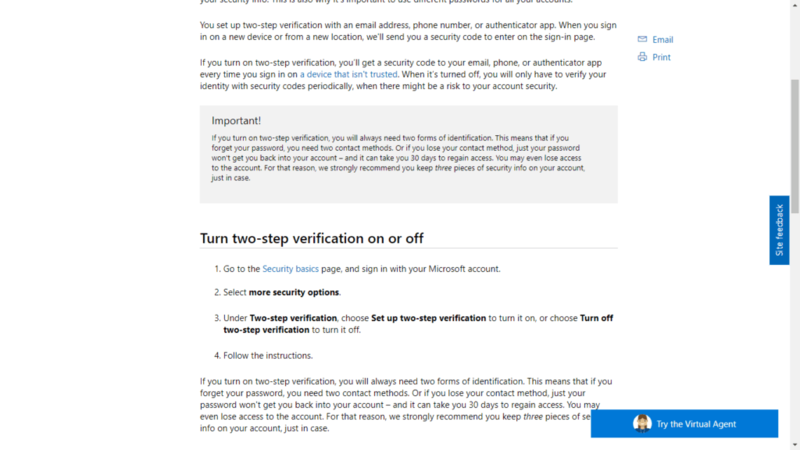 Step 5: Press “next” to begin setting up the 2fa for Microsoft. 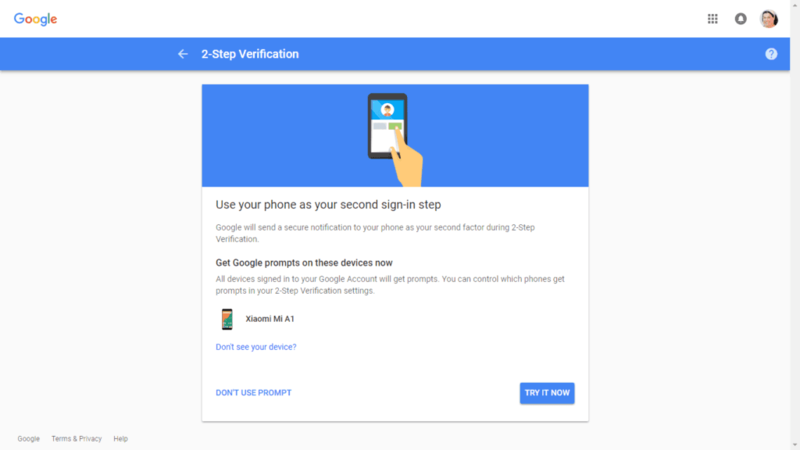 Step 6: Press “skip” to automatically turn on 2fa. You will receive a security code for 2fa. 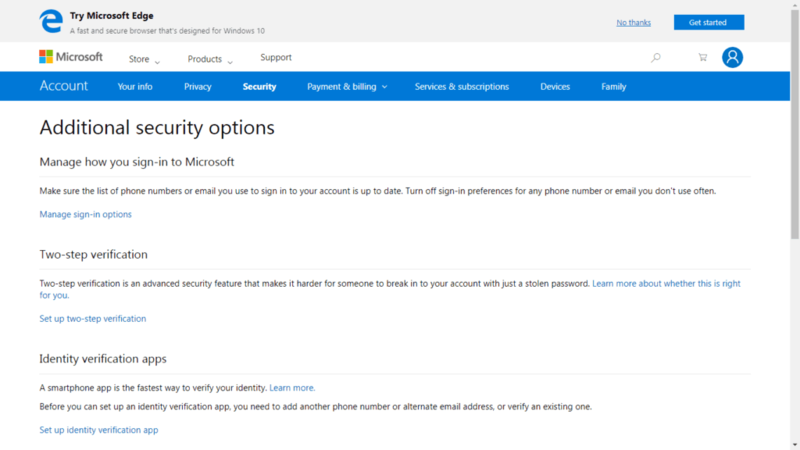 If you choose your preferred device, the process will require installing the Microsoft authenticator and following continued instructions. Again, pressing “skip” completes the process without the need to install the authenticator. Step 1: Sign in and go to your Account security page. Step 2: Besides”Two-step verification,” click the Toggle button to turn it on. Step 3: Enter your mobile number and “Send SMS” or “Call me” to get a verification code. 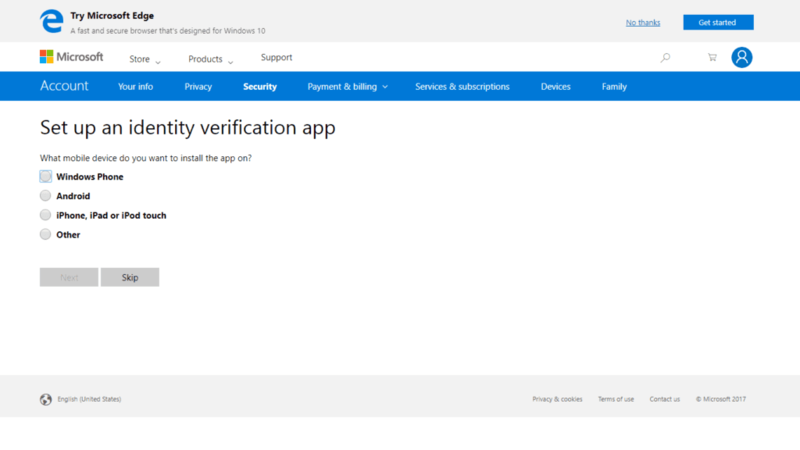 Step 4: Enter the verification code, then click “Verify“. 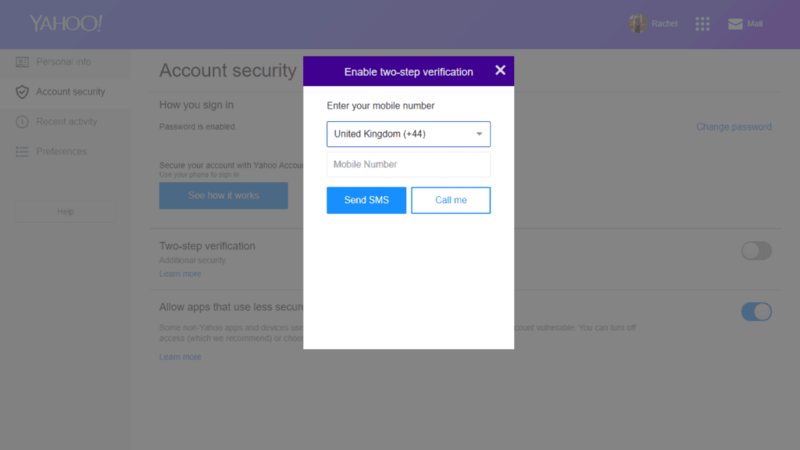 Step 5: Click Create app passwords (if you access Yahoo Mail in third-party apps) or click Skip for now. 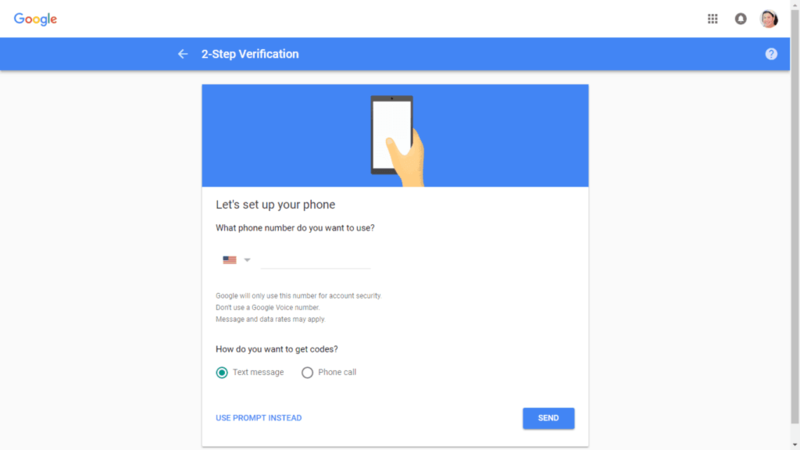 Two factor authentication is a widely acceptable method for verifying the identification of the user, and is increasingly used by websites and applications, especially before a significant transaction is processed. As much of your personal information can be accessed via your email accounts, including various websites which are linked to this user account (ie Facebook, AirBNB, Booking.com and more), it is important to protest yourself today from being hacked. The above described processes for activating 2fa on your email accounts are simple to carry out, and offer a crucial added layer of protection. < Previous Is My Internet Service Provider Spying on Me?